A new systematic literature review on how the alcohol industry attempts to influence marketing regulations, concludes that the alcohol industry’s political activity is more varied than previously thought. According to the research there are considerable commonalities between tobacco and alcohol industry political activity. 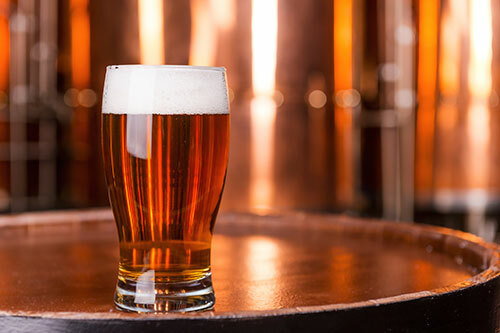 Data extraction from seventeen papers showed that the alcohol industry’s opposition to marketing regulation centres on claims that the industry is responsible and that self-regulation is effective. It furthermore identified a common strategy of questioning the effectiveness of statutory regulation sand by focusing on individual responsibility instead of seeing alcohol harm as a societal problem. Arguments relating to industry responsibility are often reinforced through corporate social responsibility activities. The industry primarily conveys its arguments through manipulating the evidence base and by promoting ineffective voluntary codes and non-regulatory initiatives. The article was published in the January issue of Addiction, which also contained a reaction by Professor Thomas Babor. Babor is very positive about the review and especially the focus on CSR being used to hide the industry’s true agenda. However, he calls for more attention on the question of identifying the impact of these CSR-related marketing policy activities on alcohol availability, alcohol consumption and alcohol-related problems. According to Babor: “The alcohol research community has, for too long, treated the alcohol industry like the elephant in the living room. It is not even a topic of theoretical conversation, much less a subject of research”. “(These) findings suggest that the strategies and tactics of the alcohol industry are likely to increase alcohol’s psychological and social availability”, wrote Babor in his commentary, “and thereby increase the early initiation of drinking, the frequency and intensity of use and the kinds of problems associated with drinking, as was suggested recently by a review of industry activities in Africa”.